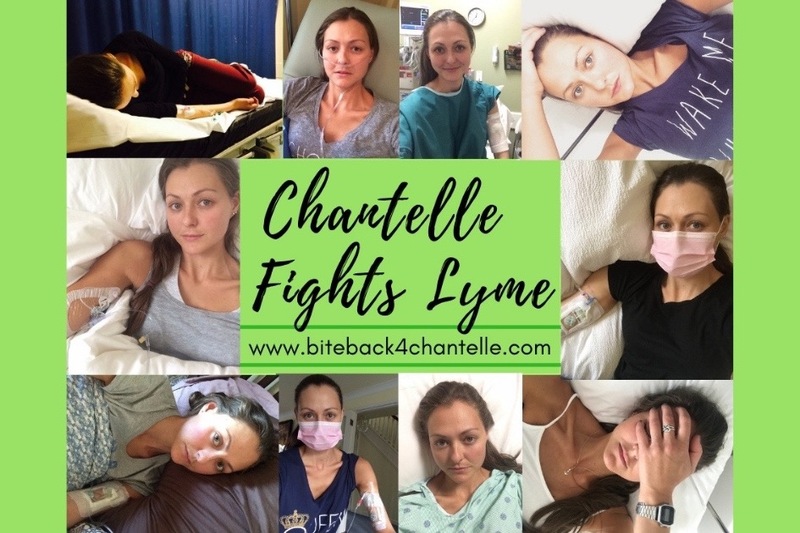 I am Chantelle Lewis, I am 34 & have been battling Chronic Lyme Disease & multiple co-infections for just over 7 years. Initially left undiagnosed by UK doctors for 14 months after a bite from an infected tick it enabled the tick-borne infections to disseminate throughout my body, affecting both my nervous system & almost my entire body. As a result I am in some degree of pain every single day & it has put significant limitations on my life. In addition to Lyme Disease & co-infections I have multiple co-morbitities, most of which have developed since getting so sick with Lyme Disease. Due to the controversy that surrounds the accuracy of NHS Lyme tests, in order to get a confirmed diagnosis I had to have overseas specialist Lyme tests & although these came back 'Positive' the UK medical system refused to accept Lyme Disease as a diagnosis. Being told there was nothing more they could do for me & being left bed bound both in & out of hospital, I was left with no alternative but to seek private help out of the country to access the medical expertise I so desperately needed to literally save my life. Through an incredibly supportive network of family & friends, the previous fundraising efforts have enabled me to begin treatment back at the end of 2013, from which I have made significant & noticeable improvements. I have spent a total of 12 months at the specialist clinic in the US & the remainder of the time continuing intravenous & oral treatment from a distance, always under the guidance of my team of Lyme literate doctors. Treatment for this late stage form of Lyme is extremely complex & proves both mentally & physically challenging day after day. This type of intense treatment protocol is not something that can be achieved over night, nor within a specified time frame. It becomes an on-going journey of perseverance & determination. There is currently no cure for Chronic Lyme Disease, but with continued treatment I have every hope for remission. It has cost £90,000+ to date on medical tests, treatments and two extended trips to the US clinic. Unable to work, I am solely reliant on fundraising in order to continue to access the medicines & specialist help, which is so vital to me having any chance of reaching remission. I am extremely determined & highly motivated to fight this disease & with donations to fund my treatment I have a great chance. Thank you so much for supporting me on this journey, it is really appreciated.